Nova Scotia Vegetable Blog: Field Day: What's the Deal with Delia? Field Day: What's the Deal with Delia? Join us on a field tour on Thursday, July 9th, 2015 from 8:15 am to noon! Come learn more about onion maggots (Delia antigua) and other Delia species that attack onions, corn, beans, and Brassicas such as cabbage, broccoli, cauliflower, radishes, kale and Brussel sprouts. Figure 1. 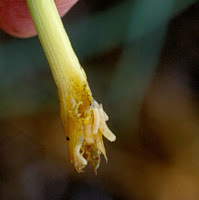 Onion maggot damage. AAFC is currently conducting research to determine which Delia species are present in Nova Scotian onion fields and to determine if surrounding vegetation or field history can influence Delia populations and subsequent damage. Netting and floating row cover can be powerful tools to combat insect pests such as cabbage root maggot (Delia radicum). 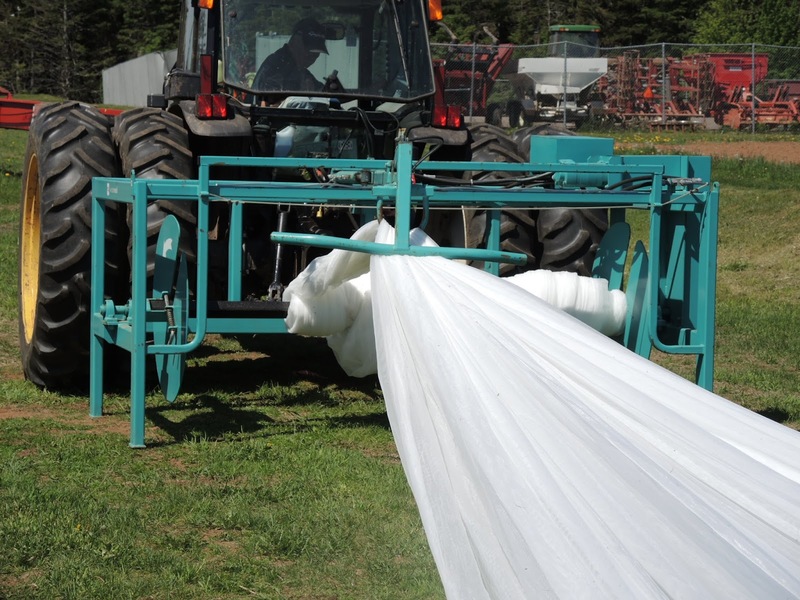 Perennia and AAFC are currently conducting research into the efficacy of different netting mesh sizes. A Wondermesh Netting/Row Cover Retriever will be on hand to demonstrate technology that makes using netting and row covers easier! Figure 2. Wondermesh Netting/Row cover Retriever. Carrot weevils (Listronotus oregonensis) are sporadic pests of carrots. Current AAFC studies are evaluating the carrot weevil’s movement within the field and identifying overwintering sites. Coffee and muffins at 8:15 AM at the Kentville Research Station - bus leaves at 8:30 AM sharp!